The hardware you need for lifting and rigging consists of 2 main categories: Shackles and Carabiners. 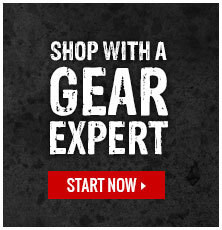 As Gear Experts® we pride ourselves in having the gear you need when you need it. Our selection of shackles and carabiners will help you stay compliant and get the job done. When picking your shackles there are a few key points to make sure that you pay attention to. The first point is country of manufacture. Many times it is required that you use a domestically made shackle due to manufacturing and testing standards. The diameter is important too. After all, a shackle that won’t fit isn’t of much use. Lastly, be sure to check the WLL or working load limit to ensure that your shackle can handle the load you plan on lifting. The carabiners used for lifting might look and feel like regular carabiners, but their requirements are a bit different. The biggest difference is that your carabiner should meet the ASME B30 Standard for lifting and rigging. ASME B30 outlines standards for materials, rated loads, identification, and operating practices. For more information on the ASME B30 Standard click here to check out our detailed blog post. We’ve also got a free downloadable ASME B30 compliance poster in our Knowledge Base. Got questions about our hardware selection, or looking for something specific? Click here to contact one of our Gear Experts®.